Summary: A brief outline of a sermon given before taking the Lord’s Supper. The core of the supper is remembering our Savior, all of us need to revisit the cross and examine our lives and hearts. It is vitally important that the things we do as a church never become empty ritual. Jesus came to fulfill the Old Testament ritual Law and open access to God by way of His once for all sacrifice as the lamb of God. It is far to easy for baptism to become about numbers than about someones declaration of faith and public proclamation of Jesus. 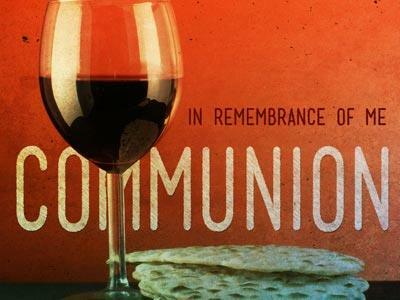 In the same way the Lord’s Supper or as some call it communion, or the Eucharist, can too often be something that we do because it is part of our quarterly happenings, or becuase we do it every Sunday. 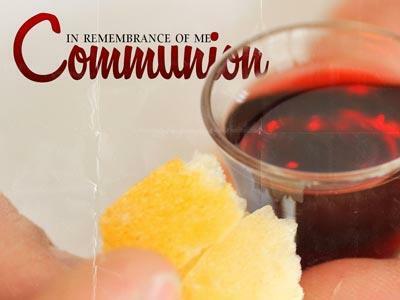 The Lord’s supper is a way of drawing us back to the cross. Drawing us together in unity around the same table, where Jesus is the bread and the wine. Man does not live by bread alone but by every word that comes from the mouth of God. Jesus Himself is the living word of God the mana from heaven and this morning we are remembering that and worshiping Him. 1 Corinthians 11.24, 25 as often as you do this doe it in remembrance of Me! The moment you experienced and accepted Jesus as Your Lord and Savior. Grace is available but if not received is like an unclaimed trust fund. So it is not just our lips that proclaim the Lord’s death it is with our lives. As we take part in His broken body and shed blood the evidence of the fruit of the Spirit and the unity of love is how other will know we are His and He is real. Righeousness, we stand before God as spotless as if we never sinned, or rebelled against his authority and rule of our life. We do not raise stone monuments that you must make a pilgrimate to in order to remember the deep significance of Christ’s death and resurrection. Remember today as you eat the bread and drink the juice that Christ is within you. 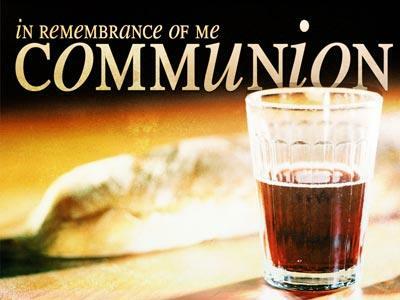 Remember today as you eat and drink together that Christ unites us in a common spirit and common body. As you do this is not supposed to be a spiritual autopsy full of grief and woe, instead it is a time of thanksgiving (greek word where we get Eucharist) and anticipation of the soon returning of our Lord and Savior Jesus Christ. Pray and examine your heart and relationship with Jesus but as you do praise and share the joy you have at your salvation. Warning: If you have not experienced the grace of God by acknowledging to God you’re a sinner, and confessing Christ as the only way to God do not take part in this rememberance. It is for those that have had the experience of grace. As we together take part in remembering our Savior Jesus Christ we look back to see what Jesus has done on the cross and did as we experienced grace for the first time. We look inside to see what we need to confess and surrender to Him at this moment in our relationship to Him. We look outward as we see that He is calling us to proclaim His death, burial, and resurrection to the entire world. A brief outline of a sermon given before taking the Lord’s Supper. The core of the supper is remembering our Savior, all of us need to revisit the cross and examine our lives and hearts.